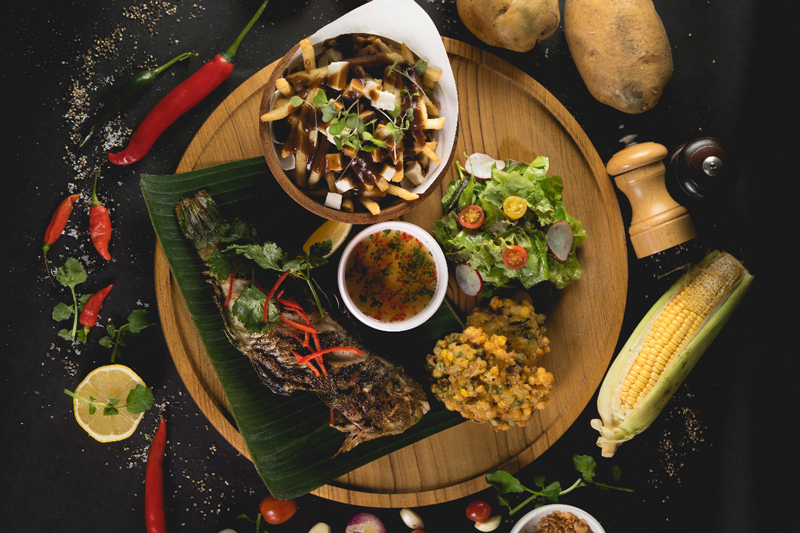 Offering a casual, breezy ambience in a semi-open bamboo structure dotted with cool tropical foliage, Makan Place is designed as an escape from the heat and bustle of Legian’s streets. Guests are tempted in by the welcoming vibe and keep returning because of the excellent food and drink. 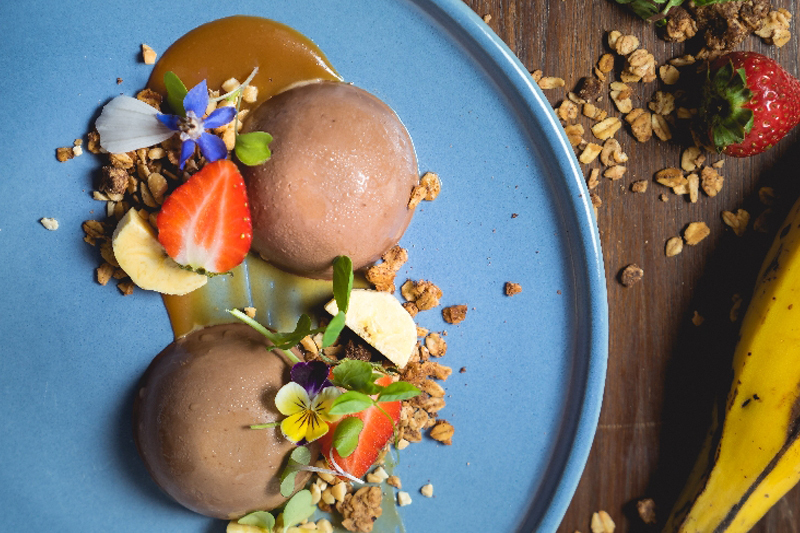 The kitchen is helmed by Chef Theodorus Immanuel, who has worked in kitchens around the world and taken a stint on MasterChef Indonesia. His contemporary menu of Asian and Western comfort foods is served in generous portions, just perfect for sharing with friends and family. 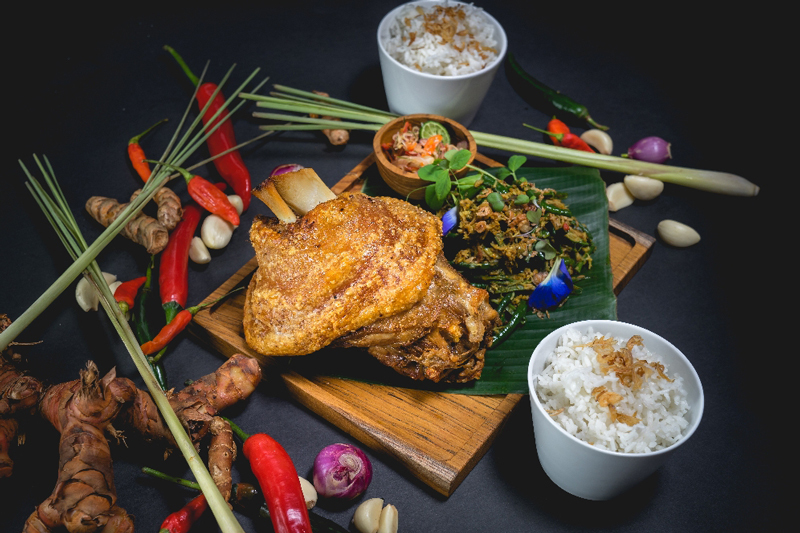 The signature dishes are, without the doubt, the traditional 800g Balinese Crackling Pork Knuckle, the fresh Grilled Catch of The Day and the crisp Salad Bowls. The beverages, including cocktails, are creative and refreshing and the liquid chefs – or bartenders – love incorporating charcoal for its health benefits. Makan Place is open daily from 11am to 11pm.